This Hybrid Flipper knife from Jason Clark features a polished C-Tek bolster and stabilized brown Mallee burl scale. 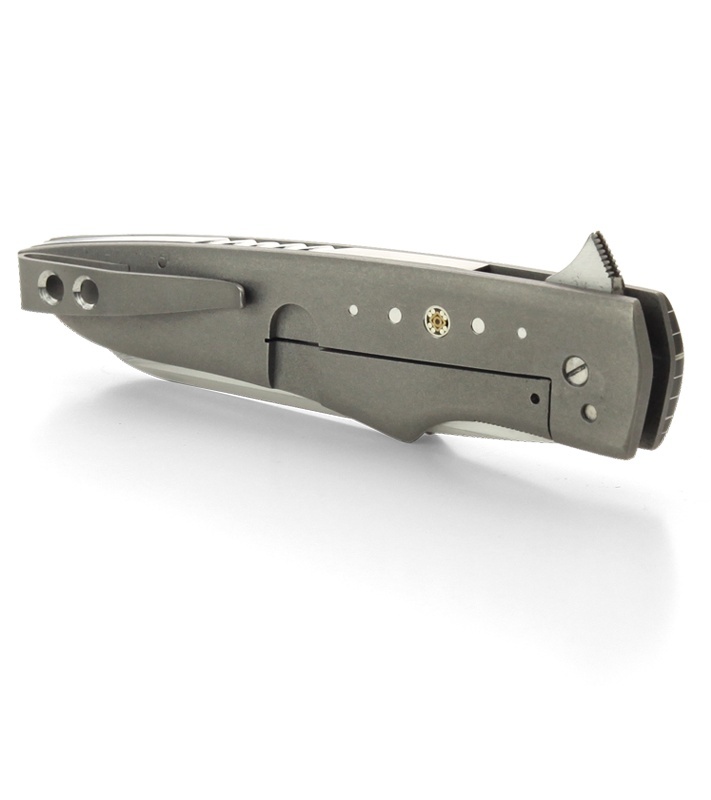 The handle has a titanium framelock, liner and pocket clip. The backspacer is satin finished stainless steel with filework. 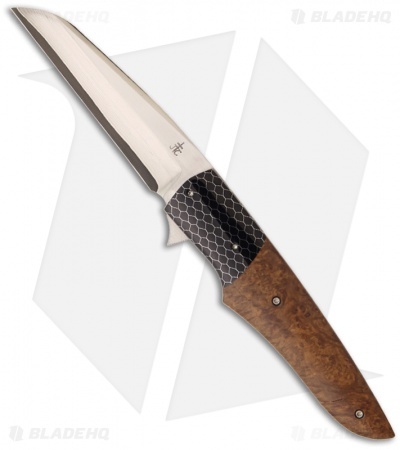 The blade is VG-10 San Mai steel with a hand satin finish. IKBS bearing system for smooth action.